Selling your home is a big decision that requiresÂ significant preparation, including listing your property and meeting with potential agents. Once youâ€™ve done that, it can still take weeks or even months to find a buyer, depending on the market. 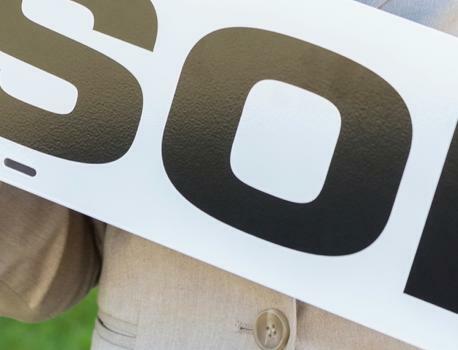 With all that in mind, itâ€™s important to know the current best practices forÂ selling your home. Following theseÂ five tips will lead to a better experience. A recent National Association of RealtorsÂ studyÂ found that nearly 90% of homebuyers use the internet toÂ house hunt. If your online listing is drab and uninviting, youâ€™re already turning offÂ potential buyers. Start by updating itÂ withÂ clear and colorful images of your property. You could even get creative and post a love letter video about your home on YouTube. If you really want to use technology to your advantage, consider renting a drone camera and filming a video that givesÂ potential buyers a 360-degree view of your property. Remember, you only have one chance to create a good first impression. Helping potentialÂ buyers envision themselves living in your home gets you that much closer to selling your property. FindingÂ a capable agentÂ is just as important as marketing your home. Try out a few of your options byÂ attending open houses and observing how the agents interactÂ withÂ guests. Do they actively engage the visitors? Are they organized, and do they have support from team members? You can also ask successful sellers to recommend theirÂ listing agents, and letâ€™s not forget the power ofÂ online review sites, which can be good tools for finding reputable agents. Once youâ€™ve selected an agent, itâ€™s important that you negotiate the commission. Most realtors charge around 6% of the sale price. But letâ€™s say youâ€™re trying to sell a property in Silicon Valley, where many homes are only on the market for a week or so. You could negotiate a lower commission based on the fact that houses tend to sell more easily in that area. Research the underlying benefits of selling a property in your area and use this information to negotiate the commission. Six percentÂ represents a big bite out of yourÂ proceeds. Donâ€™t hesitate to try to cut a deal. From day one, itâ€™s essential that you establish tasks and timelines for your agent, both verbally and in written agreement. Then make sure that he or she is on track at all stages of the selling process, whether thatâ€™sÂ organizing open houses or advertising your property through social media. He or she is your employee, and the last thing that you want is miscommunication. I have an acquaintance whose agent sneakedÂ away on vacation without warningÂ after setting up an open house. Prospective buyers quickly lost interest when the agent wasnâ€™t around in the following days to answer questions, and the house took awhile to sell. Donâ€™t let this happen to you. As a seller, you get to choose who buysÂ your house. Remember, this is a business decision â€” itâ€™s not just a matter of liking the potential buyer personally. For that reason, itâ€™s wise toÂ choose buyers who areÂ preapproved. These buyers have the backing of their lenders to complete a sale, meaning their credit reports and income tax returns have already been checked out, lesseningÂ the chance that a financial snafu will throw off the sale process. You shouldnâ€™t dismiss an unapproved buyer immediately, but itâ€™s best to lean toward those who are preapproved. Winnie SunÂ is the founding partner ofÂ Sun Group Wealth PartnersÂ in Irvine, Calif. The articleÂ 5 Must-Know Tips for Selling Your HomeÂ originally appeared onÂ NerdWallet.